SEC is very sensitive to preserving money market funds as it proceeds to the adopting phase of a money fund rule, Chairwoman White says. 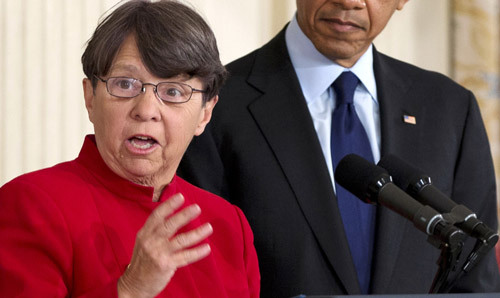 The Securities and Exchange Commission is “very sensitive” to preserving money market funds as it proceeds “to the adopting phase” of a rulemaking, with a “laser” focus on the tax, cost and accounting concerns such a rule could pose, SEC Chairwoman Mary Jo White said Wednesday. During a luncheon conversation at the U.S. Chamber of Commerce’s 8th Annual Capital Markets Summit, White also said that there was “a crying need” for more resources to help the agency boost its examination of the nation’s investment advisors. The commission is considering two “significant proposals” for additional reform to money market funds that were put out for comment last June: a floating net asset value for prime institutional money market funds — the type of fund that experienced problems during the financial crisis — and a proposal to require money market funds under certain circumstances to impose a liquidity fee and permit the imposition of redemption gates. The latter is designed to stop a “run.” As White stated previously, these proposals could be adopted alone or together. “We are very sensitive to preserving the [money market fund] product as part of this [rulemaking] process,” White said Wednesday. As to advisor exams, White said that while the agency is making more use of its risk-based analytics, “particularly in the exam space,” there’s a “crying need” for more resources to help the agency examine advisors. President Barack Obama’s 2015 budget proposal would give the SEC a 26% boost from the agency’s 2014 enacted level, and would allow the agency to add 316 staffers to the agency’s Office of Compliance Inspections and Examinations, with 240 of those examiners devoted solely to overseeing advisors. But planning groups are “working hard” to get a bipartisan user fees bill introduced in the Senate that mirrors H.R. 1627, legislation introduced by Rep. Maxine Waters, D-Calif., that has been languishing in the House, said Neil Simon, chief lobbyist for the Investment Adviser Association, at a recent IAA event. Waters’ Investment Adviser Examination Improvement Act of 2013, H.R. 1627, would allow the SEC to collect user fees to fund advisor exams, but it has garnered little support among the Republican-controlled House Financial Services Committee. Check out fi360 Urges SEC to Consider Third-Party Advisor Exams on ThinkAdvisor.